You’ve heard it over and over again….curb appeal is critical when selling your home. 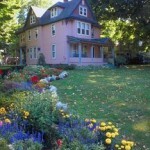 First impressions are important but what if you can’t afford to landscape or paint your home? Are your selling hopes diminished? Not if you take advantage of the following tips! Clean up weeds, sticks, leaves and other distractions from the landscape areas around your home. 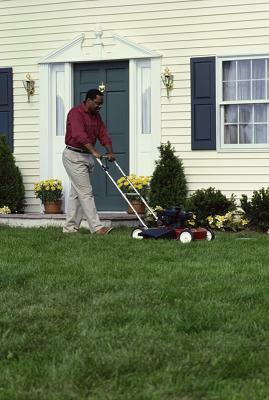 Keep your lawn mowed and trimmed so it always looks crisp and attractive. Buy mulch at the big box store for $2-3/bag. You’re doing this for aesthetics so it’s not necessary to purchase the more expensive mulches. 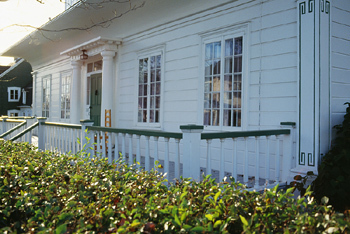 Choose a color that is either neutral or blends well with your home’s exterior. Buy flats of flowers that spread quickly or buy enough to fill in your area if you’re looking for a quick fix. Don’t want to plant? Buy container plants (this is a more expensive option) and disperse them throughout your area to add color and beauty to your finished look. Use a rake or hoe to turn the dirt and create a fresh work pallette. Before putting down any plants cover the dirt with plastic to impede future weeds from popping up. You can buy sheets that are specific to this purpose or a cheaper option is to buy a box of generic black garbage bags, cut them into full sheets and then cover the exposed dirt with them. Once you have the ground covered, pour and spread out the mulch so that all the plastic is covered. Go all the way up to your bushes and plants or around your containers if you’ve chosen that route. Add hanging baskets and additional container plants to your entryways, porches and patios. 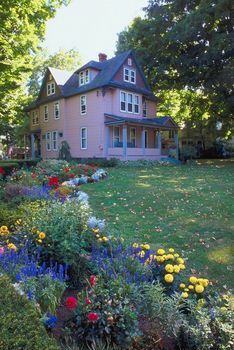 Try to use bright summer colors that enhance your home’s exterior and add splashes of color visible from the street. 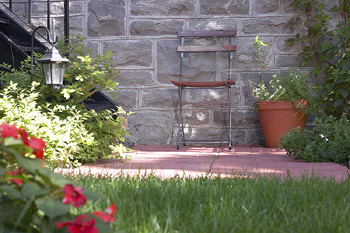 If possible create little sitting areas that reflect a great natural place to relax. 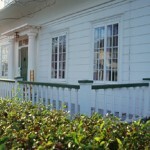 Does your home’s exterior need painting but you can’t afford to have it done and aren’t able to do it yourself? You have a couple of options: (1) Boldly offer an allowance in your advertising for the exterior work that needs to be completed. (2) Make it clear in your advertising that your price reflects the work that needs to be done. (3) Paint or power wash the trim, gutters and soffits around your home and entry ways to provide a fresh look OR paint/power wash the parts of your home that are visible from the street to give you an advantage with drive-bys. Then note in your advertising the allowance you’re offering for the work to be completed or again, note that your price reflect what needs to be done. Once you’ve done what you can, take great photos and get your home out to prospective buyers in the marketplace confident that you’re now one step closer to SOLD!